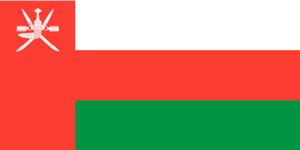 Oman is an Arab country, holding a strategically important position at the mouth of Persian Gulf. It has modest oil reserves, but what sets it apart from its neighboring countries is its non-dependency on oil reserves for its economy. It depends on tourism and trade of fish, dates and certain agricultural produces. Oman is categorized as a high- income economy. If you are want to boost your business, then don’t wait any longer and plan a trip to Oman, while TCE looks after your money matters. The Rial is the official currency of Oman. Each Rial is subdivided into 1000 baisa. The code is OMR. This currency has been in circulation since 1973. TCE has the best exchange rates available, unrivaled by any other bank or exchange bureau in Canada. There are no hidden charges and our customers never overpay. Our expert services ensure customer satisfaction. TCE values the time of its customers and with this in mind, we offer the unique online ordering facility to our customers. You just have to make an online payment and collect your currency from any of our stores. Home delivery of your currency is within two business days and is through Canada post. It is not only speedy, but is reliable as well.